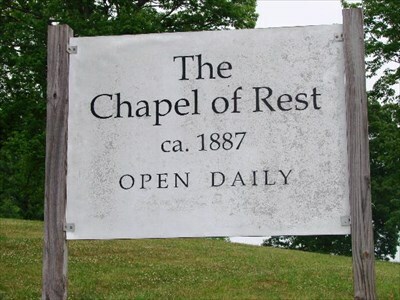 The Chapel of Rest Preservation Society was created in 1984 to preserve the historical integrity of the Chapel of Rest and to maintain the building and grounds. 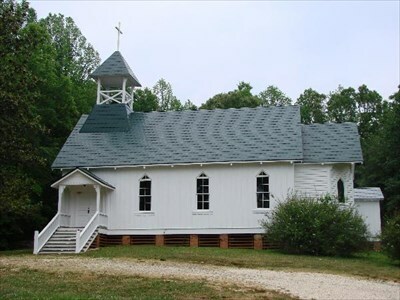 The Chapel, built in1887, is in the heart of Happy Valley and situated on a know, is reminiscent of a more simple life when locals lined the pews in their Sunday best clothing. Travelers who stop in for a rest along the Scenic Byway will find the chapel as peaceful today as those did who visited many years ago. Directions: From Asheville, take I-40 East to Exit 100 towards Jamestown Road. Turn left at Jamestown Road and after 2 miles right at Carbon City Road. Go 1 mile and turn left at US-64 Bypass West. After 2.7 miles turn left at NC Highway 18 and continue for 14.5 miles. Turn right at Harper Avenue NW and then a quick left at US 321 North. Turn right at NC Highway 268 to the Chapel.